Enhance Fuels partners with New Sunrise for the supply of a great shop product and clean, fresh image that invites people into your retail store. An exciting store upgrade package exclusively for New Sunrise member stores. A new brand with unique store offerings featuring strong, modern branding with great visual impact backed by New Sunrise's success guaranteed promotional programs and buying power. A great way of significantly improving sales and profitability as well as seeing a great customer response. 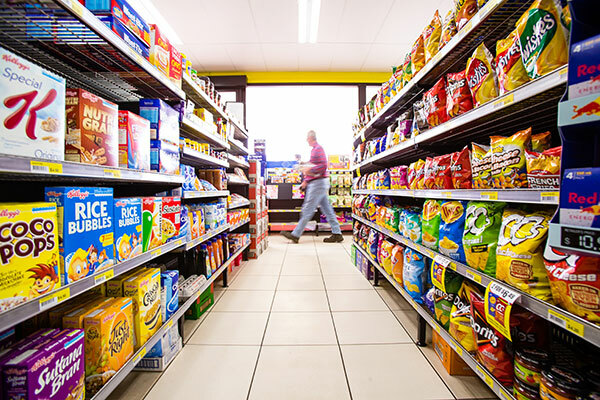 The Australian retail market has never been more challenging with competitor giants rising rapidly, quickly eroding the market share of unbranded independent operators. New Sunrise has received countless requests for assistance from such retailers who do not want to lose their individuality or pay expensive franchise fees, yet know they need to be affiliated to a great brand with a strong customer image, in order to compete. New Sunrise has met this challenge - together with widespread customer research and our extensive retail experience, this exciting brand has been developed to confidently rise to the demands of our dynamic retail market.